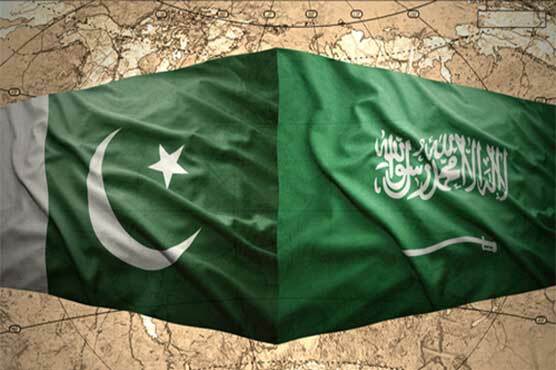 The role of Pakistan Army in the Kingdom of Saudi Arabia has again come to limelight, as Pakistan decided to send more troops in that country. Many Indian newspapers and media anchors started spreading disinformation that Pakistan Army would be used by Riyadh in case of war against Yemen and Iran. In one way or the other, even some politicians and media analysts of Pakistan also misperceive the function of Pakistan Army in Saudi Arabia. In this respect, Pakistan’s Chief of Army Staff Gen. Qamar Javed Bajwa visited Saudi Arabia where he met Saudi Crown Prince Mohammed bin Salman on February 1, this year and Saudi vice president of the Council of Ministers on February 2. Gen. Qamar Bajwa discussed matters of mutual interest and military ties between Islamabad and the Riyadh. But, without knowing the real role of Pakistan Army in Saudi Arabia, the opposition in the National Assembly (lower house) raised concerns over reports of sending Pakistan Army troops to Saudi Arabia. In this regard, on February 19, 2018, Pakistan’s Defence Minister Khurram Dastgir gave briefing to the Senate (upper house) regarding deployment of Pakistani troops in Saudi Arabia—cooperation between the two countries and the terms of engagement under which the troops will be sent to the Kingdom. It is notable that during the 1970s, Islamabad signed defence protocols with several Arab countries, including Saudi Arabia, Iraq, Kuwait, Libya, Oman, Jordon and the United Arab Emirates under which Pakistan Armed Forces were dispatched to these countries to impart professional training. A majority of the officials of the Armed Forces were sent to these countries on deputation, their tenure was two or three years. It is mentionable that Pakistan is one of the 41 members of the Saudi-led Islamic Military Counter Terrorism Coalition (IMCTC) which is being headed by Pakistan’s former army chief, Gen. Raheel Sharif. Taking note of the rumours that IMCTC or Saudi-led military alliance of Sunni countries was formed against the Shia states-Iran and Yemen, Gen. Raheel Sharif has made it clear in 2017 that he supports unity of the Islamic Ummah. It is noteworthy that Pakistan’s military capabilities qualify it to play a balancing role in the Muslim World in general and the Middle East in particular. In this connection, when a rift between Saudi Arabia and Iran widened in the aftermath of the execution of the prominent Shia religious leader Nimr al-Nimr as part of Riyadh’s executions of 47 persons on terrorism charges, on January 2, 2016, Saudi Arabia and other Gulf countries like Qatar, Bahrain and Kuwait, including Sudan broke off diplomatic relations with Iran. But, Islamabad continued her ties with Tehran. The statement followed criticism from opposition parties which lashed out at the government in the National Assembly for not coming up with a clear stance on the situation arising out in the region because of the tension between Saudi Arabia and Iran and called for a parliamentary briefing on the issue. Aziz also gave an in-camera briefing to the National Assembly on the Saudi-Iran tensions. Aziz maintained that Pakistan will continue to play its positive and mediatory role to ease tensions between Iran and Saudi Arabia and it advocates unity among the Muslim countries. For the purpose, Pakistan’s former Prime Minister Nawaz Sharif and the former Chief of Army Staff, Gen. Raheel Sharif had visited Saudi Arabia and Iran. They held meetings with their rulers in a bid to defuse tensions between the two countries. They called for resolution of the crisis through peaceful means in the larger interest of the Muslim world. Meanwhile, in his meeting with the Iranian Defence Minister Hosse Dehghan in Islamabad, Gen. Raheel Sharif had reiterated that “Pakistan takes Iran as a very important neighbouring Muslim country and the people of Pakistan have a great affinity with their Iranian brothers.” The Iranian defence minister thanked Gen. Raheel and the people of Pakistan for their efforts to bolster regional security. And during the trip of Saudi Arabia’s deputy crown prince and defence minister, Mohammed bin Salman at Islamabad, Pakistan’s prime minister and chief of army staff had assured him to defuse tension between the two brother countries. His visit came just four days after the Kingdom’s Foreign Minister Adel al Jubeir visited Islamabad. While, some media analysts had misinterpreted the statements of Prime Minister Nawaz Sharif and Gen. Raheel Sharif by saying that during their interactions with the rulers of Saudi Arabia, they preferred Riyadh over Tehran. However, it was not true, as Islamabad had decided to play a mediatory role between the two Muslim countries as part of a balanced approach in the Middle East. But, foreign enemies of the Islamic World manipulated the statements Pakistan’s civil and military officials who clarified that Pakistan Armed Forces are also stationed in Saudi Arabia for protection of the holy sites in Mecca and Medina, as their role would be defensive, not offensive. Notably, despite the pressure of America, Pakistan had refused to send its troops to Syria in support of the US-backed forces which wanted to oust Syrian President Bashar al-Assad. Similarly, in 2015, Riyadh insisted upon Islamabad to send its forces to join the Saudi-led coalition to conduct aerial strikes on Yemen. Pakistan had refused to participate in the air strikes. Instead, Pakistan’s parliament had passed a unanimous resolution on April 9, 2015, which stated, “The war in Yemen is not sectarian in nature, but has the potential of turning into a sectarian conflict which will have critical fallout in the region, including Pakistan.” It urged the government “to stay neutral in the Saudi-Yemen conflict” and to “avoid being drawn into a broader sectarian conflict between Saudi Arabia and Iran.” It called upon “warring factions in Yemen to resolve their differences peacefully through dialogue.” The resolution urged Islamabad to play a diplomatic role to end the crisis. It is of particular attention that during his trip to Iran, Pakistan’s army chief Gen. Qamar Bajwa who met with Iranian civil and military leaders, said on November 7, 2017, that Pakistan was determined to expand its ties with Iran in all spheres, including expansion of its military and defence cooperation with Tehran. It is worth mentioning that the US had planned to spark a civil war between the Sunnis and Shias in wake of the war on terror. For the purpose, a study of Rand Corporation, titled ‘US Strategy in the Muslim World After 9/11’ was conducted on behalf of the then US Deputy Chief of Staff for Air Force. Its report which was released on December 27, 2004, advocated that Sunni-Shia sectarian division should be exploited to promote the US objectives in the Muslim World. The report was first implemented in Iraq. In 2004, major terror-attacks were carried out against the Shias. Afterwards, a chain of Shia-Sunni clashes started between Iraqi Shias and Sunnis, targeting each other’s mosques and religious leaders through bomb blasts, suicide attacks etc. After Iraq’s experiment, more deadly pattern of sectarian strife and clashes have been conducted in Pakistan. With the assistance of American CIA, Israeli Mossad and Indian RAW have arranged a number of attacks on mosques and religious leaders of Shias and Sunnis through the militant groups such as Tehreek-e-Taliban Pakistan (TTP), Jundullah (God’s soldiers) and Islamic State group (Also known as Daesh, ISIS and ISIL). These outfits kidnapped and killed many Iranian nationals in Pakistan, including Iranian diplomats. ISIS and Jundollah conducted many subversive acts in Pakistan’s province of Balochistan and Iranian Sistan-Baluchistan. In this connection, Tehran has directly accused CIA of funding these types of terror attacks. Pakistan’s leading Ulemas (Religious scholars) of the Shia-Sunni sects, including politicians have repeatedly pointed out that external conspiracies were being hatched to destroy peace in the country through sectarian divide. It is worth mentioning that when last year, Saudi Arabia along with the several Gulf States severed diplomatic ties with Qatar after accusing it of supporting terrorist groups, Pakistan did not cut off its relations with Qatar. Nonetheless, the role of Pakistan Army in Saudi Arabia is to help in training the Saudi troops and to provide advisory services. This entry was posted on Wednesday, April 11th, 2018, 6:37 am and is filed under Pakistan-Saudi Arabia Relation. You can follow any responses to this entry through RSS 2.0. Both comments and pings are currently closed.